There’s just six weeks to go until the release of Sekiro: Shadows Die Twice, and publisher Activision and developer FromSoftware have released the system requirements for their upcoming souls-like set in the Sengoku era of Japan. With more than a month left until release, you’ve got plenty of time to go and find those extra components if you need them, but thankfully for those of you with lower-end rigs, it doesn’t look as though the game is too demanding. While Sekiro maintains plenty that Dark Souls fans will be familiar with, there are also some major differences – the souls that defined FromSoft’s iconic series are gone, replaced by experience points and skill trees. And if you fancy a stealthier approach, there’s room for that as well. And if all that weren’t enough, last year FromSoftware announced that it’s working on two unannounced titles, so if you’ve got a souls-like itch that needs scratching over the next few years, it looks as though you’ll be well catered for. Without further ado, however, let’s take a look at those system requirements. 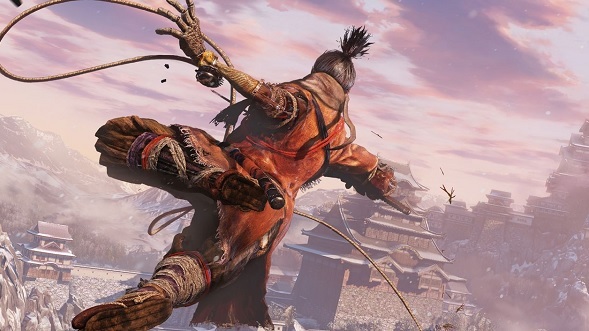 You can get more information about the Sekiro: Shadows Die Twice system requirements at our sister site, The System Requirements Lab. As I mentioned above, you won’t need an all-powerful machine to get Sekiro running pretty well, but if you do fancy an upgrade, you’ve got plenty of time.